I’m not sure who invented s’mores, but I think we can all agree that the first s’mores maker is a true hero to chocolate, marshmallow, and graham cracker lovers everywhere! S’mores are an American favorite “fun food”. Not only do ooey gooey s’mores taste magically delicious but they are super easy and fun to make for kids of all ages. We have spent many a night at some resorts which have the most amazing, I like to call them, fancy s’mores dessert, I have ever experienced. From incredible flavors to breathtaking views, we’ve got your complete guide. Want to celebrate National S’mores Day in style? Can’t get enough mouth watering s’mores flavors? Want to know where to go for the ultimate s’mores day fix? We’ve traveled in search of the best s’mores recipes and experienced some out-of-this-world s’mores concoctions that are seriously mind blowing. We’ve tried all sorts of fancy s’mores including: s’mores breakfasts, s’mores frozen treats, s’mores desserts, s’mores drinks and a few unusual but delicious savory s’mores toppings like bacon! 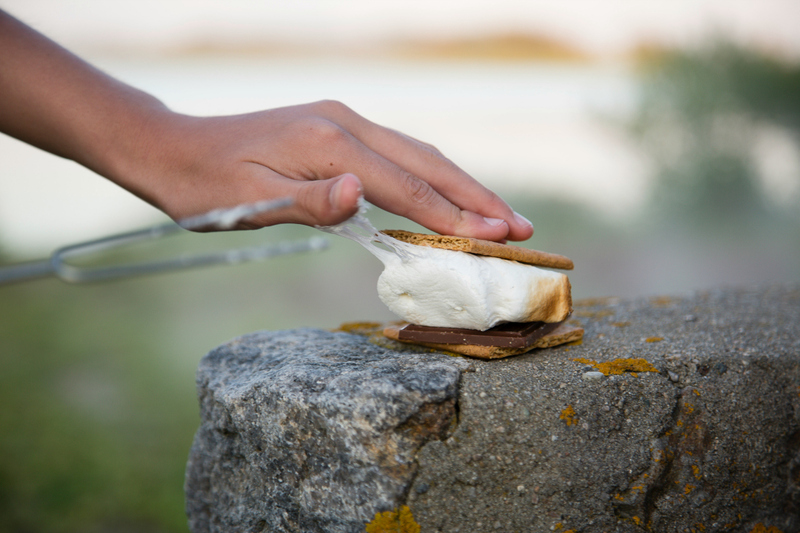 Where can you find the tastiest s’mores? We definitely think s’mores taste best on vacation! Nothing beats a luxe hotel stay that comes complete with a fun evening of roasting s’mores over an open fire. 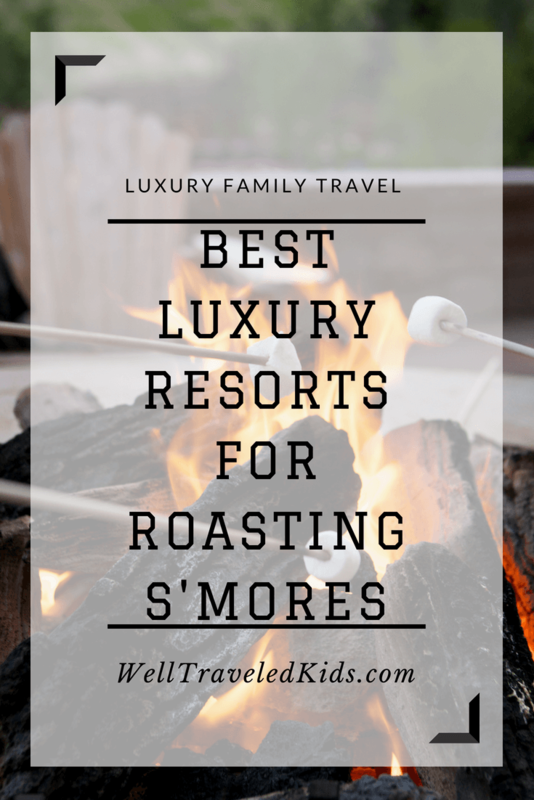 We’ve done our research and trust me, this is the ultimate list of over 20 of the best resorts for enjoying and roasting delicious mouth watering s’mores all year long. Go stay at any resort on this list and everyday will feel like National S’mores Day! 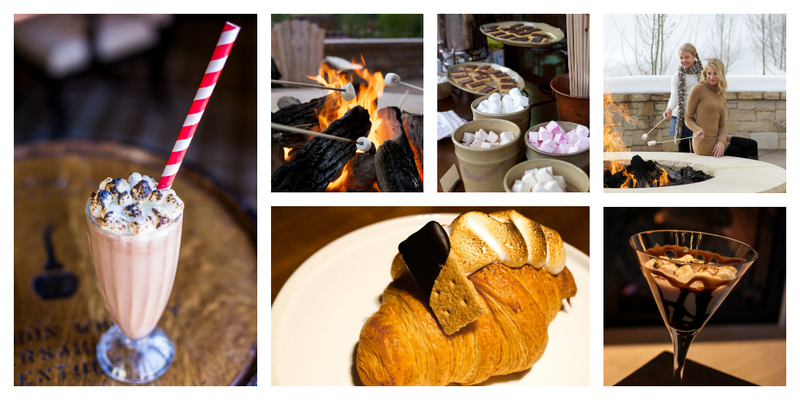 Ultimate List of Best Resorts for celebrating National S’mores Day! We just returned from an incredible stay at The Resort at Paws Up. 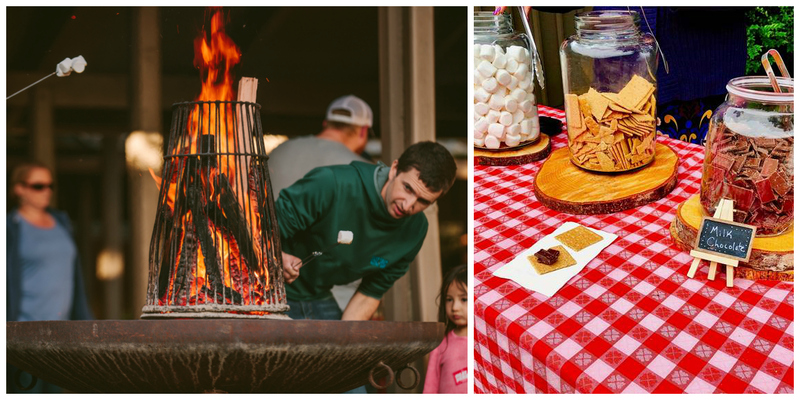 Our whole family fell in love with everything about Paws Up, especially the s’mores. It’s obvious their incredible staff has spent 10+ years perfecting the art of s’more roasting. We made so many delightful s’mores memories on our trip. Our favorite was spending every night with our camping butlers who taught us some important skills for upping our s’mores game. When guests of Paws Up’s luxuriously appointed canvas-clad glamping tents are not enjoying fireside s’mores service from their private camping butler, high-end restaurant Pomp serves up table-side s’mores service for those that prefer white table cloth to campfire. Homemade gourmet s’mores, grahams sprinkled with powdered sugar, fresh chocolate squares and seasonal berries are served with miniature skewers and a small fire goblet. 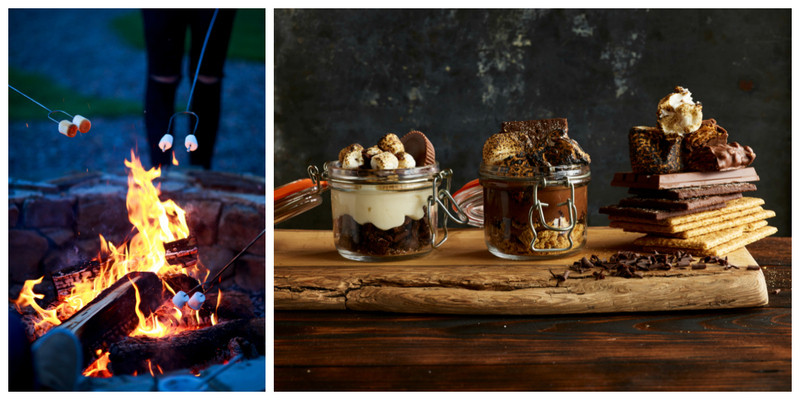 This year the resort is expanding its S’moreology program and seeking out the ultimate s’mores experts. Recently, auditions were held to find ideal candidates for the s’moreologist positions and those selected will be certified through a program that Paws Up has been developing since the onset of S’moreology at the Resort. The resort’s newly appointed, Executive Chef Sunny Jin will be leading the S’moreology charge and has recently shared his latest campfire treat s’mores recipe: “S’mores in a Jar with Cardamom Graham Cracker, Ginger Marshmallow Buttercream and Bittersweet Chocolate Ganache”. Pastry Chef Amanda Rockman from the South Congress Hotel in Austin, Texas, will be joining Paws Up as the resident S’moreologist for National S’mores Day as part of her Campfire Chefs appearance. You know that the home of the Hershey bar is definitely the place to go for some seriously yummy Hershey’s s’mores action! Hershey’s s’mores treats are featured throughout The Hotel Hershey, including s’more cheesecake at Harvest Restaurant and a frozen s’mores pop at the outdoor pool complex snack bar, Poolside. Sweets, a confectionery boutique, offers a delicious s’mores cupcake. Nightly s’mores roasts are offered at The Hotel Hershey in the summer at a large fire pit behind Harvest Restaurant. The Hotel Hershey is one of the Official Resorts of Hersheypark, along with Hershey Lodge and Hersheypark Camping Resort. It’s worth noting Hershey Lodge and Hersheypark Camping Resort also host nightly s’mores roasts at their large fire pits and have s’mores kits available. Hershey Lodge offers a s’mores jar at Fire & Grain and a s’mores ice cream cake at The Bears’ Den. Also at Hershey Lodge, Hershey Grill features s’mores french toast on its breakfast menu! At Montage Deer Valley s’mores lovers start the day with S’mores Croissants in Buzz Café made fresh each morning by the Pastry team. The S’mores Shake with smoked marshmallows at Burgers & Bourbon is a s’mores fan favorite and can also be spiked for an adult dessert. During winter months, s’mores martinis are always on the menu. Families saying at Montage Deer Valley have tradition of gathering for nightly s’mores around the Vista Patio fire pit. The s’mores bar features 5 custom made marshmallow flavors (caramel, mocha, peppermint, vanilla, cinnamon) offered in addition to traditional Jet Puffed. Guests can mix and match marshmallows with milk and dark chocolate to create the perfect s’more dessert. The Wequassett Resort’s signature restaurant, twenty-eight Atlantic, features a play on s’mores as their mignardises during the summer months. This offering is presented in a round ceramic container with a lid. Petite chocolates are placed on the lid and inside the container are smoked graham crackers and marshmallows as well as additional chocolates. The Wequassett Pastry Chef, Ashley Corrao, has created the s’mores desserts and also features s’mores cakes and frozen s’mores lollipops! Every Wednesday evening during the summer the Wequassett Resort staff builds a big beach bonfire featuring traditional s’mores for families to enjoy. They also offer private beach bonfires and s’mores as an option for catered clambakes and wedding after parties. 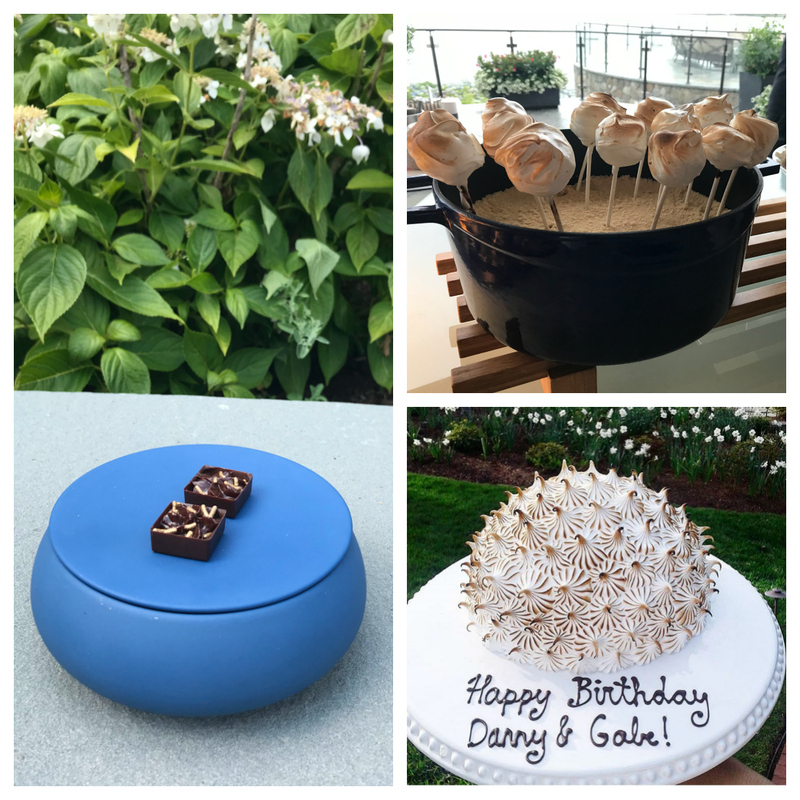 For those who want a more intimate s’mores experience in-room dining menu includes s’mores kits which can be used indoors and outdoors (all accommodations have patios or decks). They’re very popular with families. 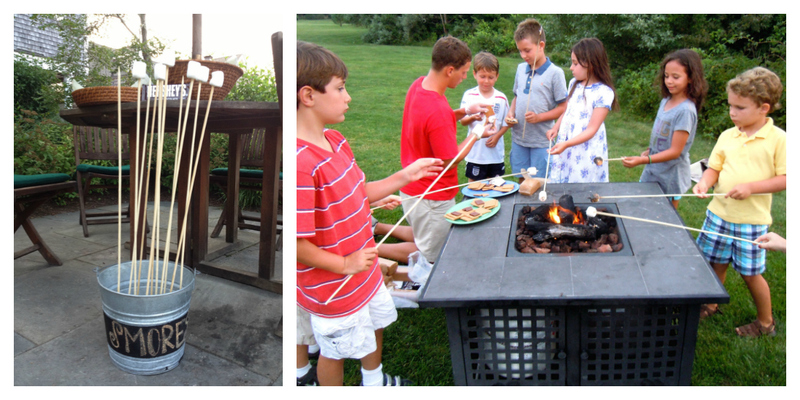 The s’mores kit includes a heating element and it is surrounded by individual compartments that contain graham crackers, marshmallows, chocolate and skewers. 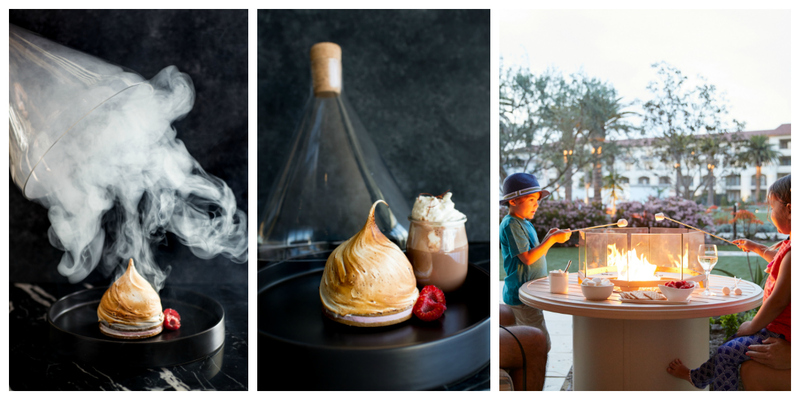 Monarch Beach Resort just launched a spectacular new gourmet s’mores dessert! Designed by Executive Pastry Chef Jamon Harper, the S’mores Aroma Experience transforms ultra-premium ingredients (including a 68% Grand Cru Coastal Madagascar, a chocolate that he developed with Felchlin exclusively for the Monarch Beach Resort) into an edible work of art delivering a highly visual, multi-sensory experience. The S’mores Aroma Experience arrives under a cloche filled with hickory smoke, sending a plume of “campfire” smoke into the air as it is unveiled tableside. The dish itself features a chocolate cremeaux atop a raspberry moonpie served with a side of chile hot chocolate. This dessert is part of an incredible menu of playful throwbacks, where iconic indulgences are transformed into nostalgic novelties. Guests of Monarch Beach Resort can select the Fireside Terrace Room, which features a private patio with fire pit. The fire pits are ideal for a family s’more roasting session and gourmet s’more kits are sold in the resort’s Part + Parcel market. 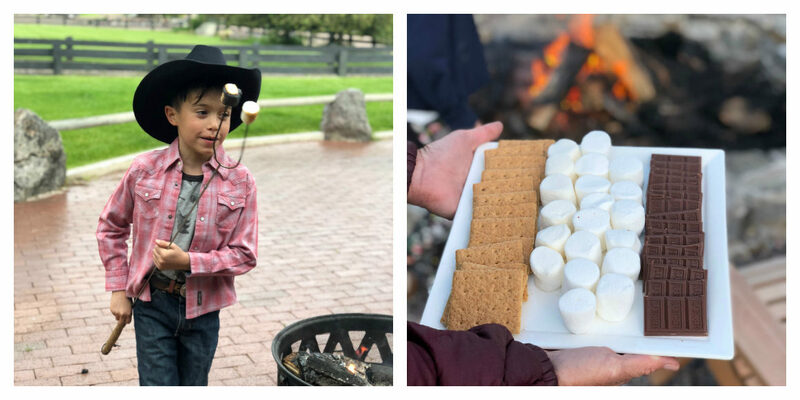 We spent an unforgettable ski weekend in Jackson Hole at the Four Seasons Resort & Residences Jackson Hole and fell in love with all things s’mores at this resort! The highlight of our time together at the Four Seasons Resort was the evening we spent stargazing with the hotel’s resident astronomer. 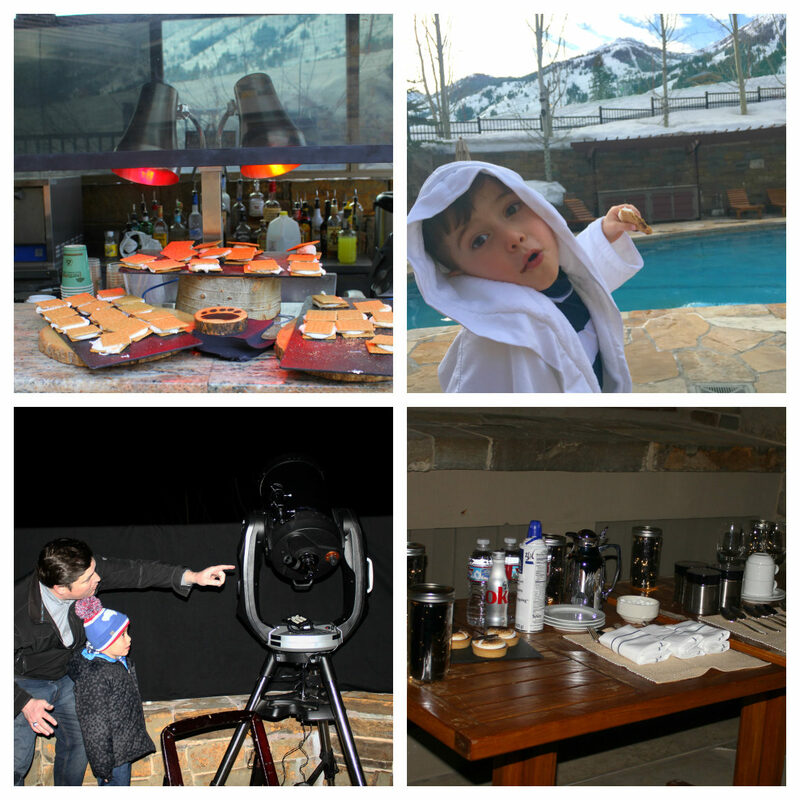 Ryan, owner of Teton Skies and the resort’s resident expert astronomer, set up his high-tech telescope to show us all the dazzling planets and twinkling stars in the Wyoming night sky while we snacked on a tasty spread that included yummy s’mores tarts! After skiing we would change into our swimsuits and head to the pool for the complimentary s’mores buffet by the pool. That’s where we learned s’mores taste extra good poolside! 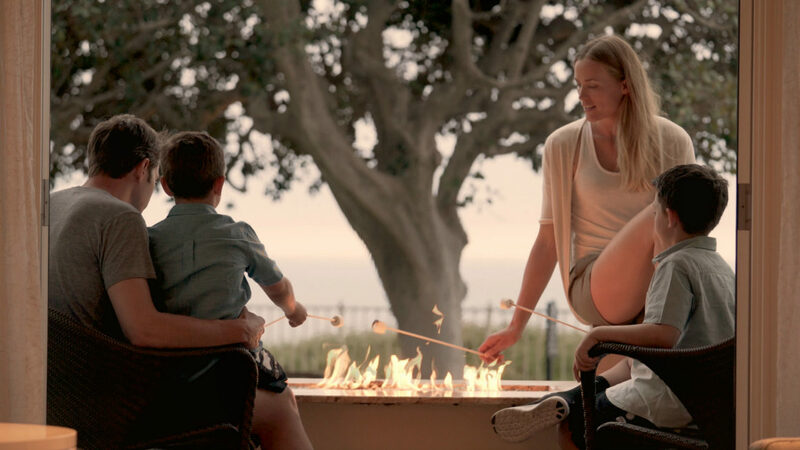 The Winnetu Oceanside Resort tops off their signature event, “ Wednesday Night Clambake”, with good old fashioned s’mores by the fire pit as young families get to reminisce about roasting marshmallows under the Stars. Hotel guests are offered s’mores all season long on Tuesday, Thursday and Saturday Evenings and on Clambake night. June through August they even have a s’mores attendant who helps the kids (and grown kids too!) make their own s’mores over a fire pit in the Winnetu courtyard. Guests can enjoy that experience with follow up games of foosball , ping pong and giant chess game. Usually the idea is that families can have dinner at Dunes at 5 pm and after dinner they can come down to make s’mores before the kids bedtime! One of my personal favorite luxury family resorts is the Sea Island Resort. All guests of Sea Island have access to the fire pit, which is located at The Lodge, the English-style manor with a touch of southern charm. Every night the hotel’s S’morrier builds a crackling fire and prepare the ultimate s’mores for the whole family to enjoy. Through the resort’s kids-only Survival Skills workshop, kids learn how to build their own fire to bring their learnings back home from vacation and make campfire s’mores at home. Ritz-Carlton, Lake Tahoe hosts a complimentary Marshmology program every evening. 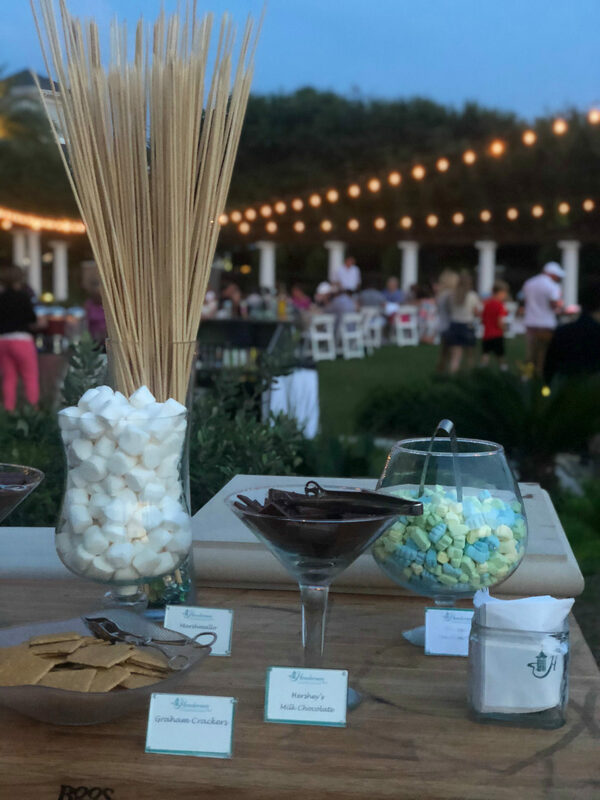 Guests are invited to relax out by the fire pits and learn about the history of the marshmallow and traditional s’mores ingredients from The Ritz-Carlton Marshmologist while enjoying complimentary s’mores featuring house-made marshmallows. Check out the top things to do in Tahoe Here! 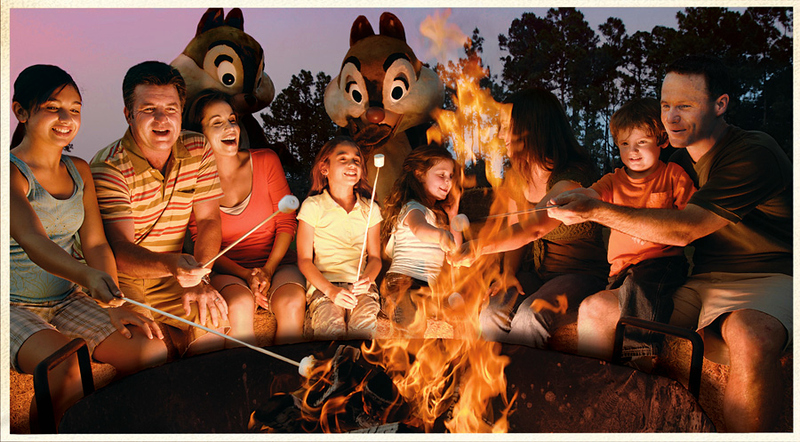 You can’t beat roasting s’mores at Walt Disney World with Chip and Dale! Guests of Disney’s Fort Wilderness Resort can join nutty friends Chip ‘n’ Dale for a nightly campfire celebration, followed by a classic Disney movie under the stars at Chip and Dale’s Campfire Sing-A-Long. Kiawah Island Golf Resort preserves a time-honored South Carolina Lowcountry tradition with a weekly oyster roast and barbecue at Mingo Point overlooking the Kiawah River. Oysters are steamed in the old fashion method over a wood fire with soaked burlap bags thrown over the fresh oysters and pork is slowly smoked over hardwood coals. After dinner, though, guests in the know always save room to make s’mores around Mingo Point’s large fire-pit. What could be better than a s’mores buffet on the beach? 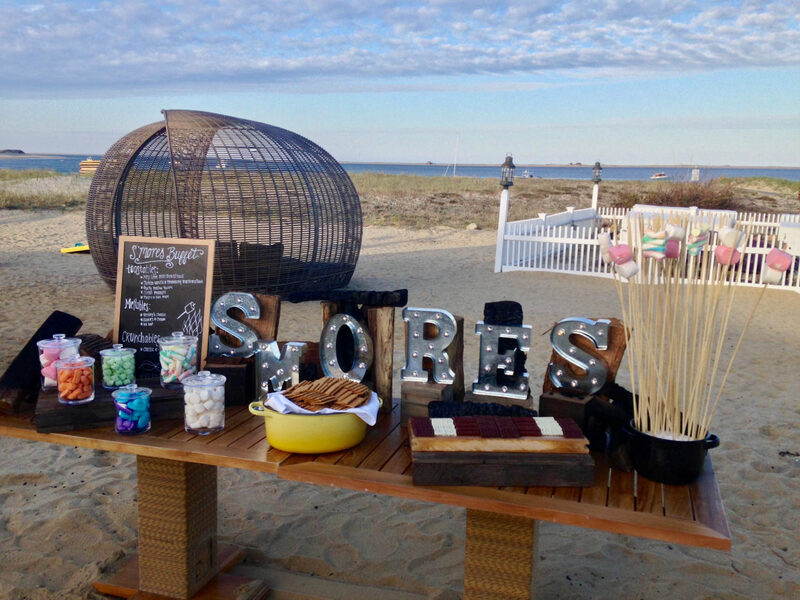 The s’mores buffet at Chatham Bars Inn takes place Monday – Thursday as part of their traditional clambake for hotel guests by the Beach House Grill restaurant on the sand. Hotel guests are also welcome to host a private bonfire and can pick any day / time. 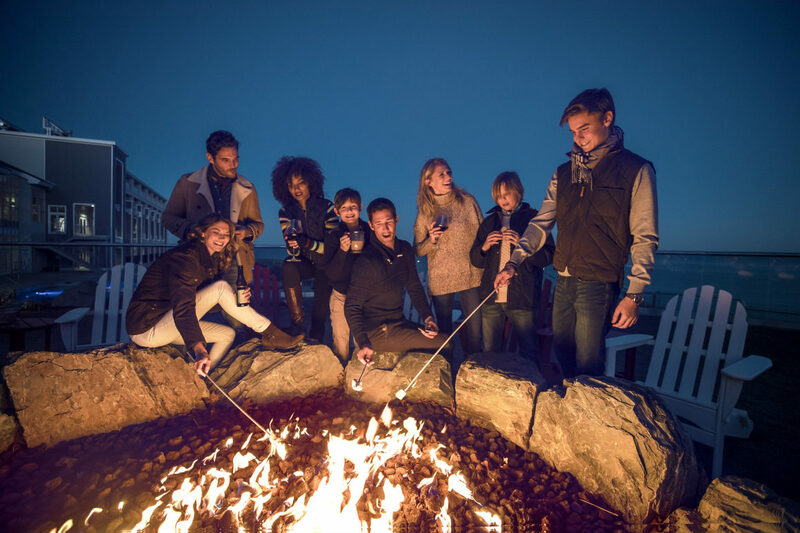 Guests at Cliff House Maine, a Destination Hotel, are able to enjoy s’mores at each of the property’s four fire pits each night – it is first come, first serve and the main fire pit, The Cove fire pit and a new fire pit by the family pool are most popular. The resort’s s’mores concierge offers a full kit (stick, marshmallow, graham crackers, and chocolate). While enjoying s’mores, families can enjoy listening to Salty Stories of the Sea told by local Lobsterman Captain Cook on various nights of the week in the warmer seasons. We just returned from a luxury beach holiday at Montage Laguna Beach. It was love at first sight upon arriving at this Southern California luxury beach resort. We couldn’t get enough of the fire pits overlooking the ocean. The resort offers the cutest s’mores kits available for guests to roast s’mores at the firepits with incredible ocean views. 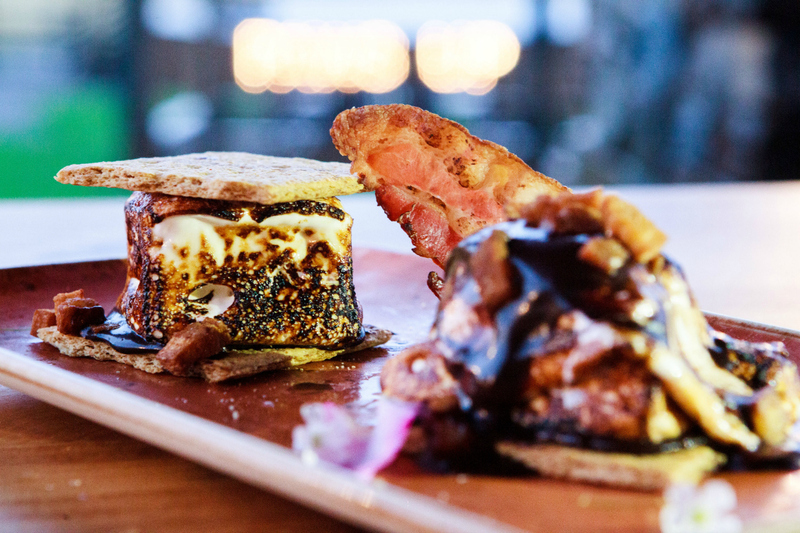 Salishan Resort’s daily complimentary s’mores start with a marshmallow roasted over a potlatch, a traditional cooking device among Native American Indians of the northwest coast, which makes for the ideal golden marshmallow. They offer a buffet of graham crackers and chocolate – everything you need to create the perfect s’more! During our last stay at Ritz-Carlton, Laguna Niguel we loved our Fireside Ocean View guestroom that came complete with our own personal outdoor fireplace. These rooms are perfect for an intimate s’mores roasting experience. The resort offers nightly s’mores kits for guests and families to enjoy in their Fireside Ocean View Guestroom. Located in Westerly, Rhode Island overlooking the Quonochontaug Pond, the Weekapaug Inn offers a secluded escape for guests looking for a nature-inspired getaway. With complimentary daily s’mores by the fire pit after dark, guests can indulge in the property’s camp-like setting with an evening of roasting s’mores under the stars by the antique stone fire pit on-site. 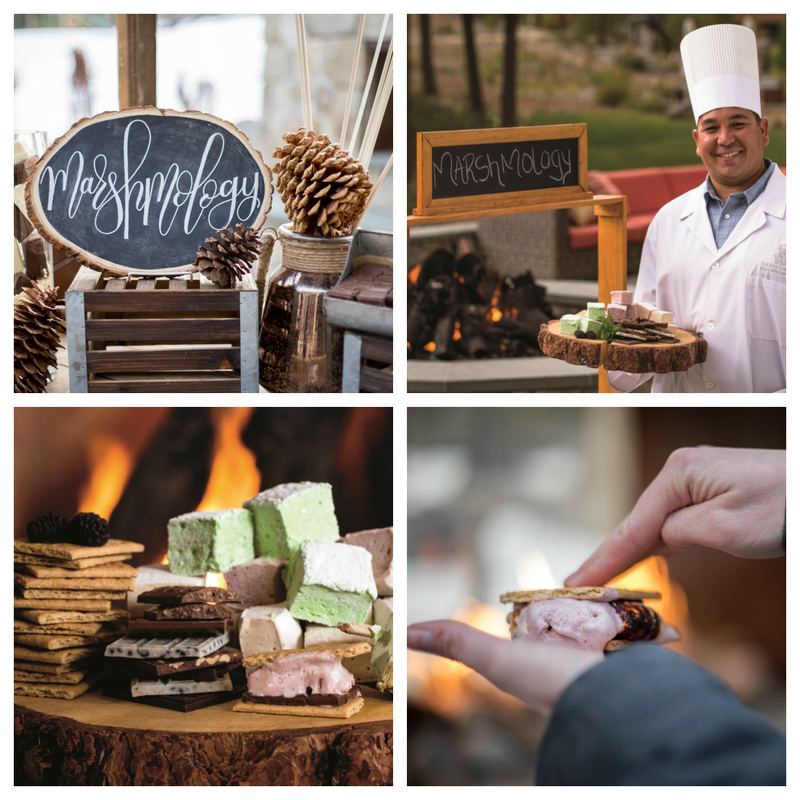 Guests of all ages can enjoy Snowmass complimentary s’mores every afternoon throughout the winter season. 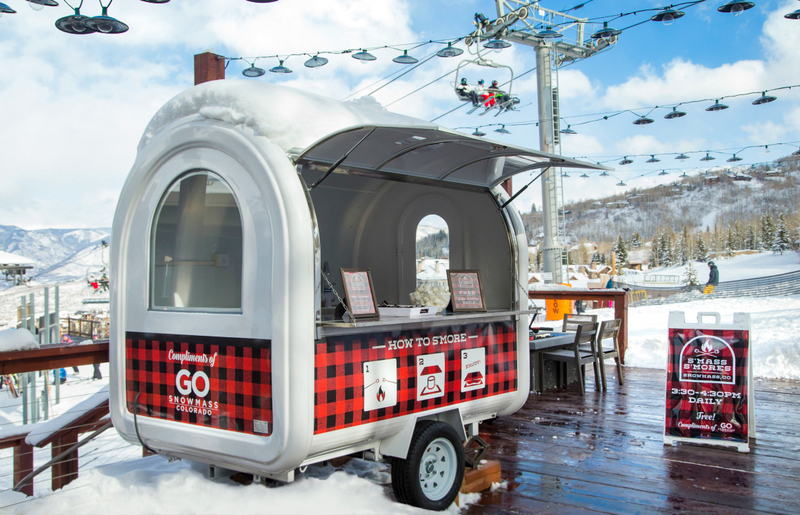 Guests can find branded s’mores carts (which resemble oversized marshmallows and include step by step s’moring instructions) at the fire pits in Base Village and the Snowmass Mall. S’more makers are encouraged to return for seconds until their perfect s’more is created. Free and open to all ages, this après tradition makes for a distinctively Snowmass experience and truly Instagrammable moment. We loved everything about our Newport Beach stay at The Resort at Pelican Hill. 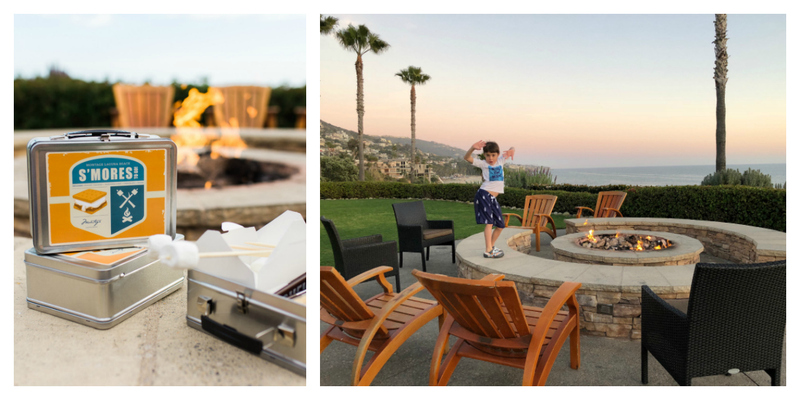 We asked about s’mores and the concierge at Pelican Hill resort highly recommends that s’mores lovers experience the Crystal Cove Beach Fire Pit Sunset Package during their stay. 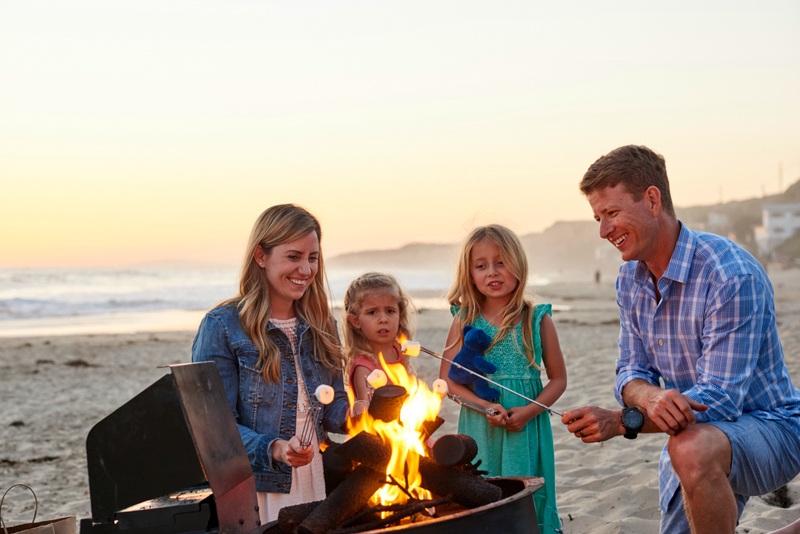 Adjacent to Pelican Hill in the Historic District of Crystal Cove Beach, guests enjoy a two-hour s’mores experience with your toes in the sand. This amazing beach experience includes s’mores, soda, water and beach chairs for four guests for $95. The Henderson is a family friendly beach resort, focused on creating traditions and memories surrounding family vacations at the beach. 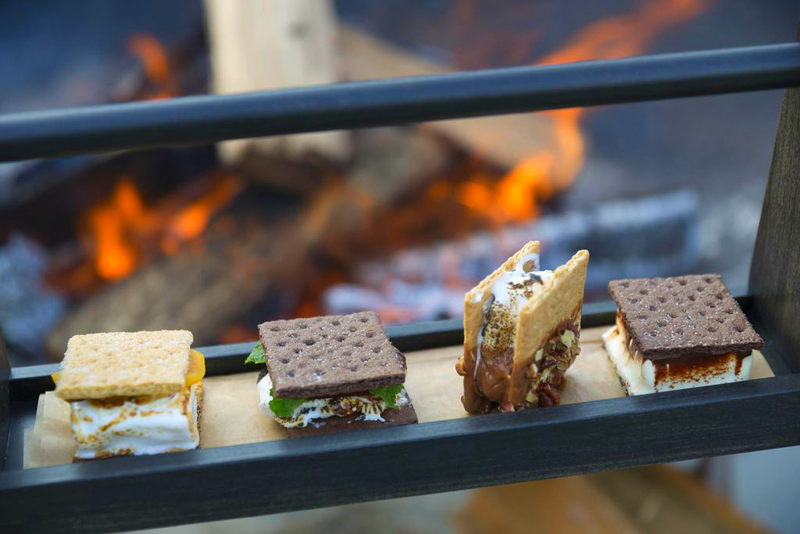 This summer, the resort introduced complimentary Summer S’mores on Friday, Saturday and Sunday evenings at the fire pit. S’mores day includes a s’mores bar featuring gourmet flavored marshmallows and many creative options for flavor combinations with a variety of chocolate candy. Guests and families love the opportunity to gather around the fire pit on a summer night savoring s’mores and laughing together. 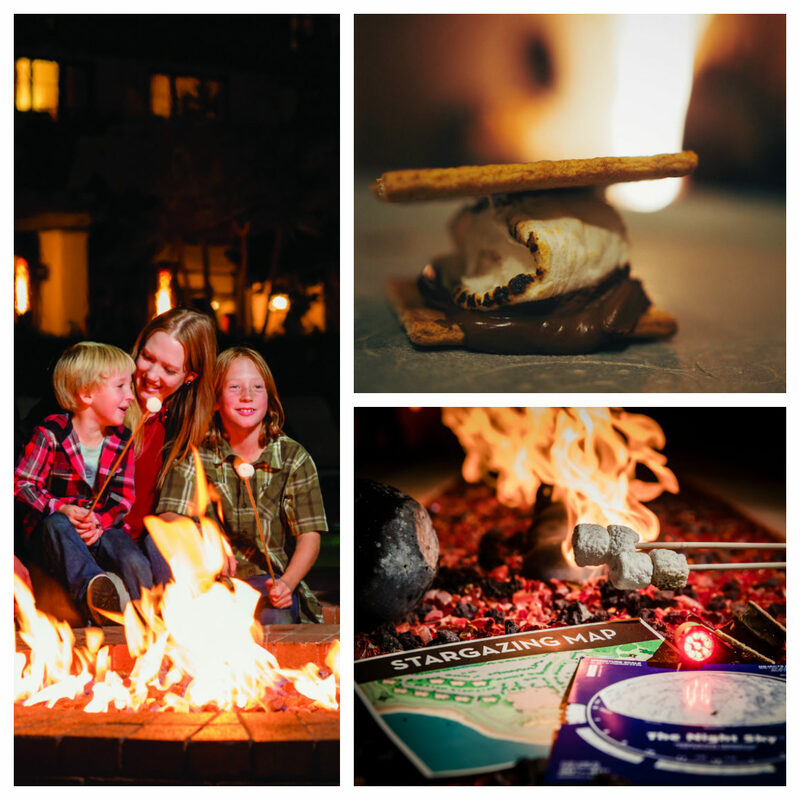 Terranea Resort invites guests to join the fun under the stars at the Resort Pool for yummy s’mores and unforgettable memories. 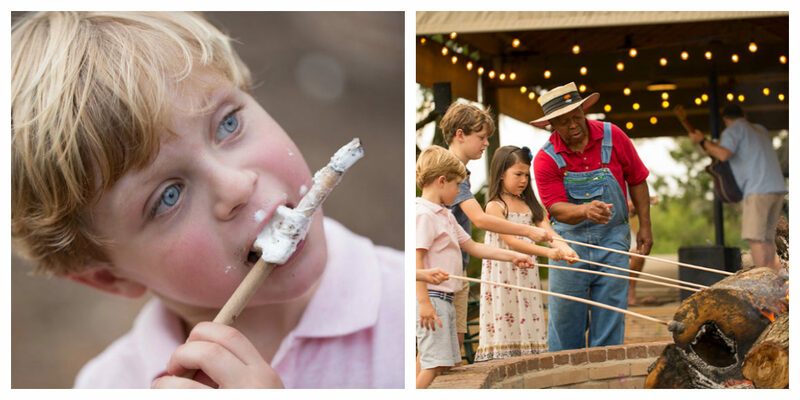 The s’mores party is complimentary for resort guests and takes places on Fridays, May 27 – September 1. Do you love all things s’mores? 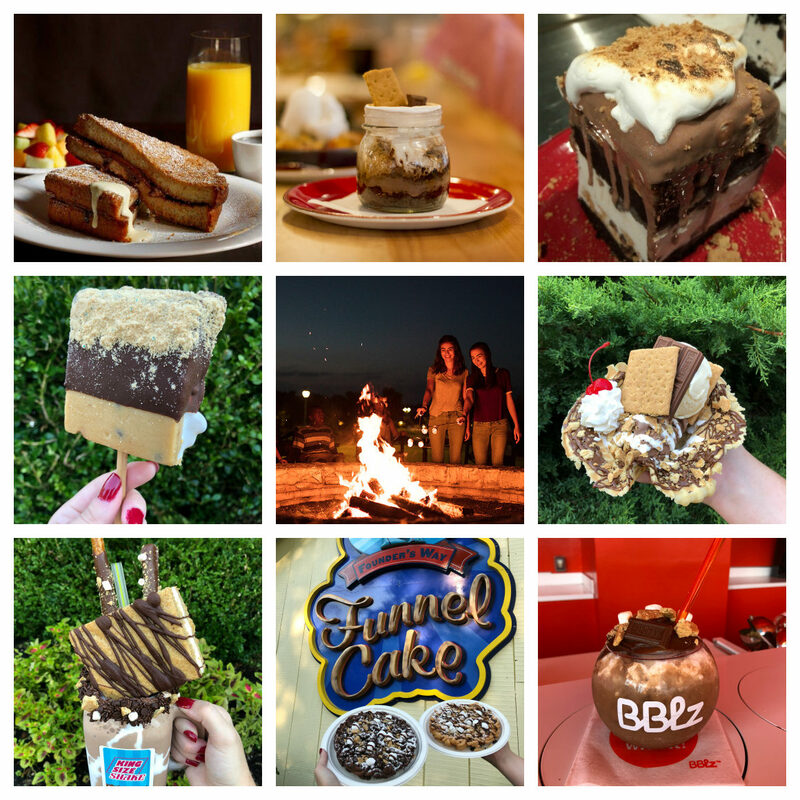 Pin this for later so you can plan the ultimate s’mores vacation!